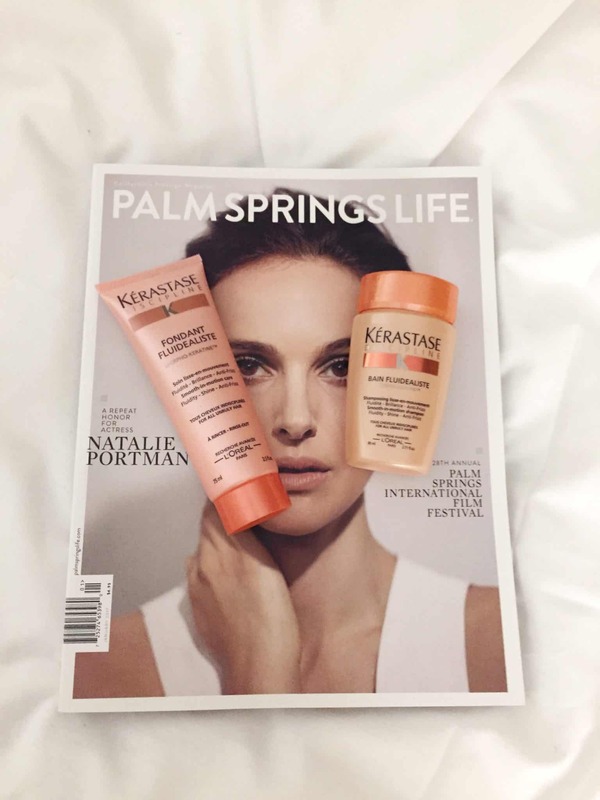 I was sent some Kerastase Hair Discipline travel sized products to try out for my recent trip to California. I love this shampoo. It is a thick white shampoo that delicately cleanses the hair and leaves your hair soft. 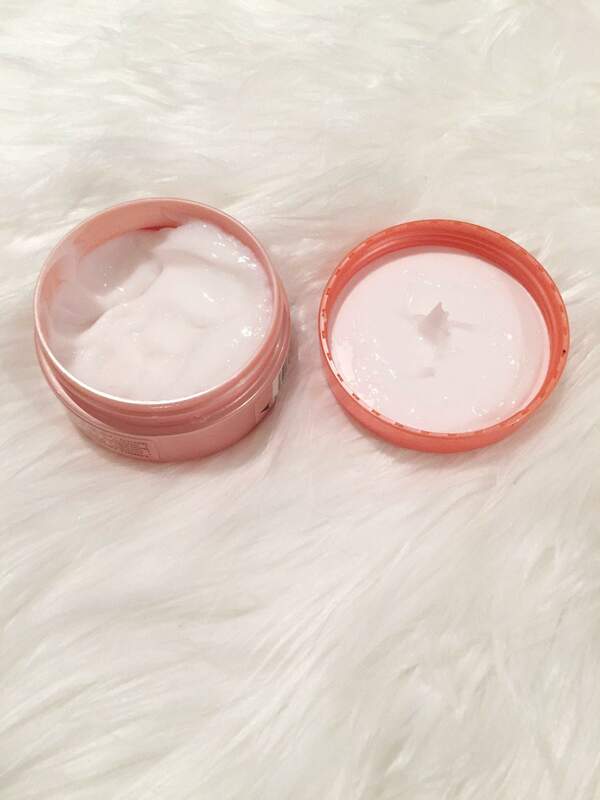 It smells great and leaves my hair soft and easy to manage without weighing it down. This shampoo feels very luxurious. The conditioner is applied after the Bain Fluidealist. This conditioner provides suppleness, nutrition and strength to the hair leaving hair stronger and more manageable. Like the shampoo, the conditioner smells great as well. It left my hair smooth, bouncy and shiny. 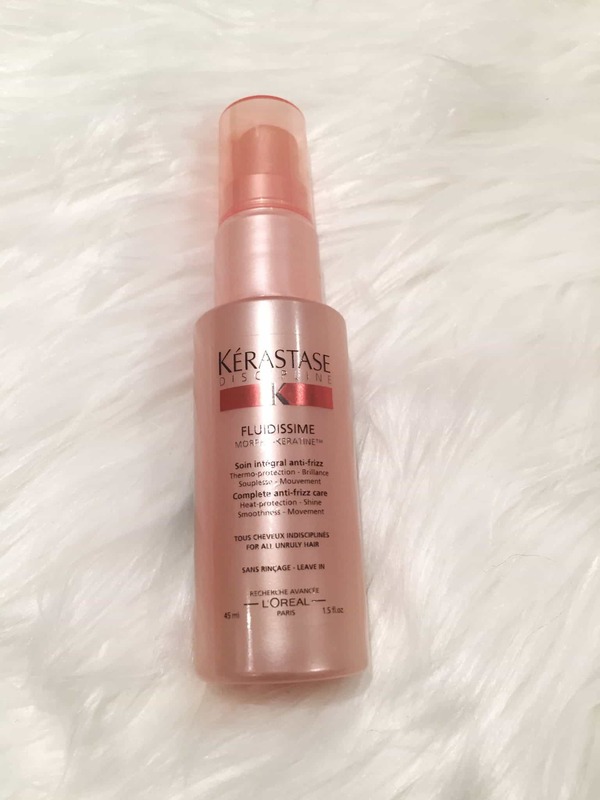 This no-rinse spray is applied to either dry or damp hair. It helps protect the hair during styling and disciplines even the frizziest hair. This helps protect my hair when blow-drying it. It leaves my hair smooth and shiny without weighing it down. 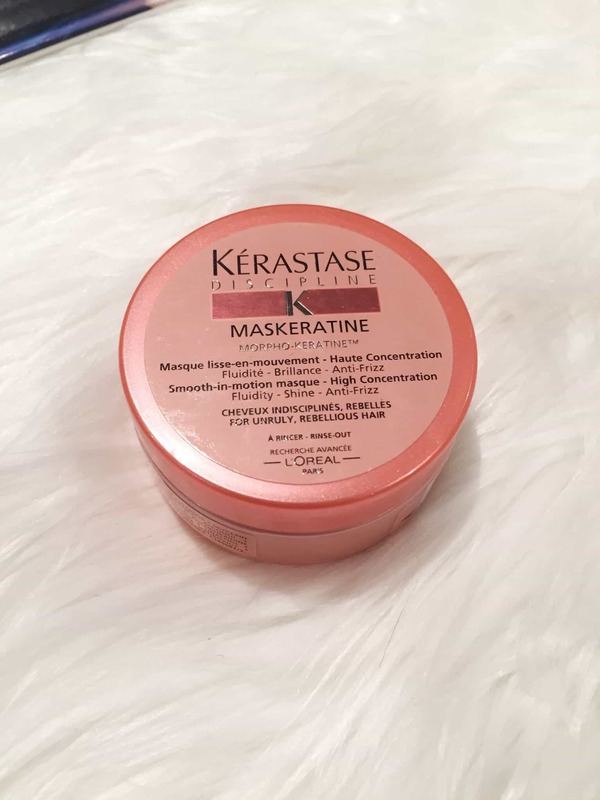 This is a wonderful mask that helps repair damaged hair. If you blow-dry your hair, colour it or use any styling products, then your hair will thank you for using this mask. This is applied from the roots to the tips after shampooing and left on for 5 minutes before rinsing thoroughly. The hair is softened and replenished so it is easier to style. With a strong dose of softening agent that brings suppleness to the hair. 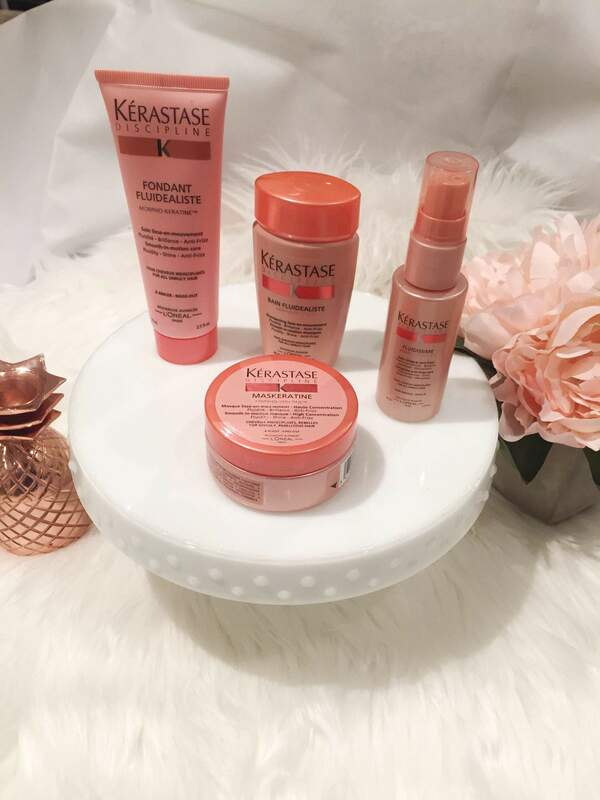 Have you tried Kerastase hair care products? 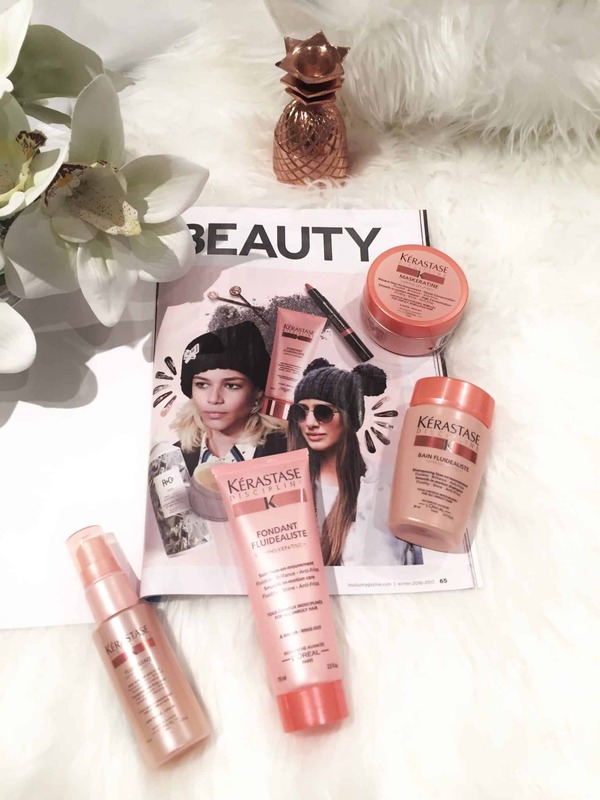 What is your favourite hair care brand? 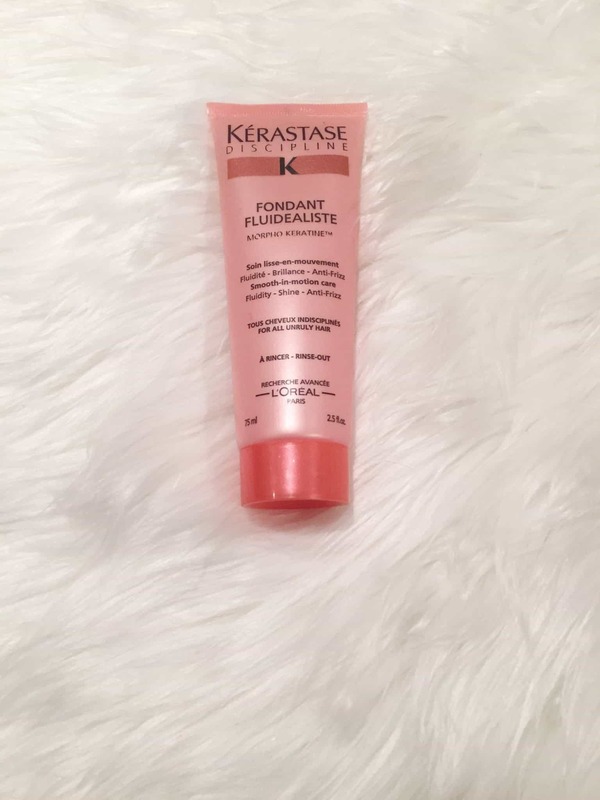 i love kerastase products. i will be trying their mask ! 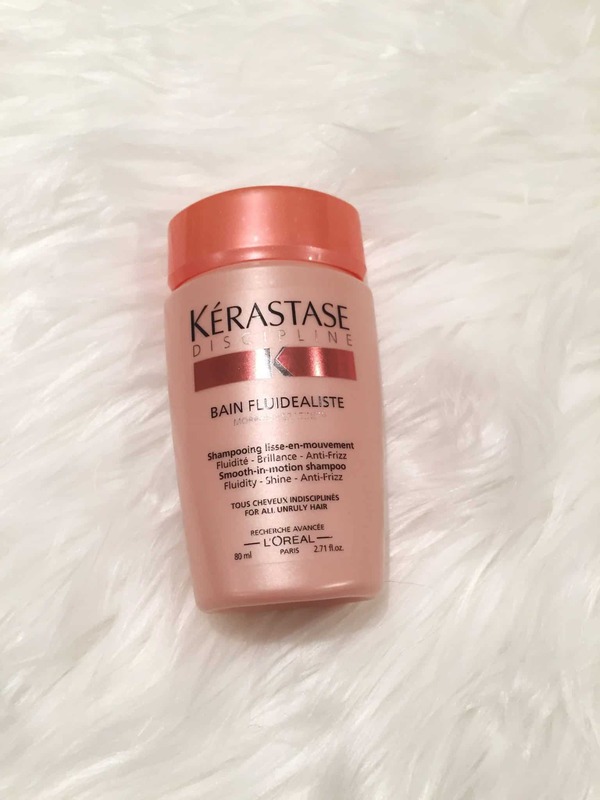 I’ve tried the Kerastase shampoo and conditioner, I was a total fan. My aunt works for a hair salon and got my sister and I samples so I tried the volume/thickening one and it was great but pretty pricey for shampoo and conditioner so I haven’t gotten it since sadly!